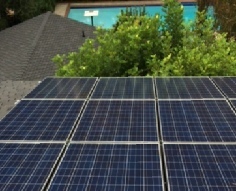 We started to install solar eleven years ago when my daughter was born. It was simply the right thing to do. We are not like that large solar company you will find in the big box home improvement store. We are a locally owned company that takes takes pride in the work that we do. With a dedicated staff of Energy Consultants and Installers, California Solar Energy makes it easier than ever for Los Angeles homeowners and businesses to switch to solar energy. California Solar Energy provides an honest and very competitive residential solar solution that allows you to generate your own solar power. This protects you from runaway electric rates charged by LADWP and SCE. 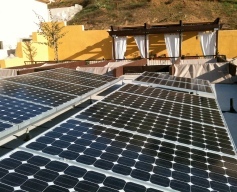 This California Solar Energy Solution can save LA property owners thousands of dollars and generate an excellent return on your investment with Tax Credits and Utility Rebates. The process is very simple. A California Solar Energy Consultant visits your home and performs a comprehensive evaluation of your energy usage. We will provide you with a turn key solution to reduce your high LADWP & SCE Electric Power bills. We do all the work ourselves. From the in house design, permits, paperwork and installation. There are no third parties involved! You will see the same familiar face from start to finish. Better yet, we have over thirty years of roofing experience to make sure your system is installed watertight. 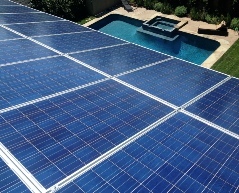 There is only one solution for your solar needs - and that is California Solar Energy.